India’s financial capital and home to the largest number of the richest in the nation, 46,000 millionaires and counting – Mumbai – will be going to polls on April 29. With a total wealth of $ 950 billion, according to the New World Wealth, Mumbai figures 13th on the list of the 15 Wealthiest Cities across the world, beating Toronto and Paris. The riches notwithstanding, the city’s poll prospects will be decided by its more than half slum-dwellers. While estimates put the population of Mumbai to around 22 million in 2018, about 9 million live in the slums spread across the city. And, the issues that drive the target voter remain much the same over the last decade: Issues that affect the slum-dweller. Oddly, poll prospects in Mumbai have, since long, been decided by the slum-dweller who literally holds the politics of the city at ransom by sheer dint of representational numbers and will. “Shiv Sainiks have always been chowkidars,” offers sitting Shiv Sena MP from Mumbai South, Arvind Sawant. “My party has always been alert and vigil since its inception and provides security to the city,” says Sawant, jumping on Prime Minister Narendra Modi’s most recent Chowkidar bandwagon. Doing a swift turnabout, Shiv Sena, BJP’s long-standing ally in the state after raving and ranting about Prime Minister Narendra Modi in its official channels throughout the preceding tenure, leaving no stone unturned in insulting the PM following every move or speech, has decided to dump the criticism and go along with BJP in the state polls. It was Rahul Gandhi’s ‘chowkidar chor hai’ barb at Prime Minister Narendra Modi that had left miffed the security guards association in Mumbai and concurrent demands for the Mumbai police to file a case against the Congress president. The Maharashtra Rajya Suraksha Rakshak Union even submitted an application at the Bandra-Kurla Complex (BKC) police station in Mumbai last month, claiming the remark was an "insult" to security guard. “The police should register an offence against Gandhi to stop such kind of slogans that insult security guards,” offers Union president Sandeep Ghuge. Almost all security guards and watchman live in slums in Mumbai and most of them have even managed to get their voter identity cards updated with their local addresses. “Why, every political party in Mumbai panders to the whims of the slum-dweller. It is, after all, the slum-dweller who decides on the poll fortunes of the sitting corporator, MLA or MP,” maintains Security Systems expert MR Rao, a resident of Kandivali. 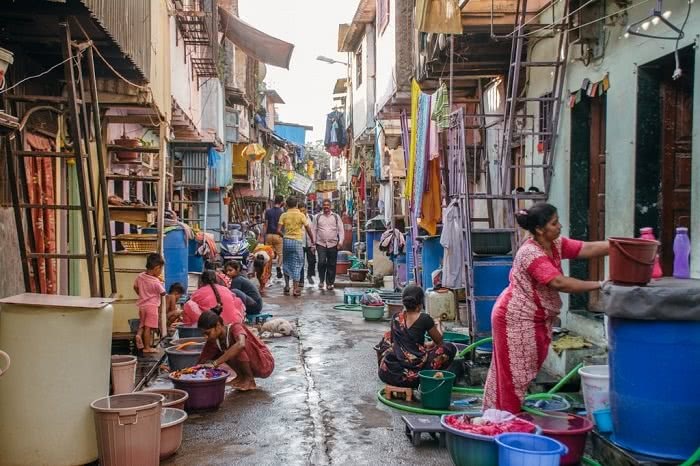 “Issues that affect the middle class are hardly tackled by political parties who, despite representing the whole of Mumbai, actually cater only to the slum-dweller,” says a disgruntled Rao. Mumbai has a unique temperament when it comes to elections. The rich and the upper middle class will talk endlessly about the political situation in the city, the dearth of will of elected representatives, the ruin of the city’s heritage and common amenities and more yet not exercise their right of franchise on the day that matters the most. And, where the working middle-class is concerned, they’re already making plans for a long weekend as the polling date falls on a Monday. “In Mumbai, elections are associated with a lengthy holiday period when most working class people move out with their families,” says Company Secretary aspirant and Ghatkopar resident Nilesh Gala with nonchalance. “What they don’t realise that it is this mentality that ‘how much will my single vote matter’ that stalls progress. Voting should be made mandatory by law here,” he adds. It’s this apathy towards voting that deprives them of the right to exercise any sizeable control over the city’s MP who knows that the only group that will exercise its franchise right religiously is those living in the slums. After all, it’s the issues that affect the slums and their resolution that bear direct relevance to the prospects of the sitting or the aspirant MP. Issues of water shortage, of power, of legitimacy to their shanties or business, of security from regular police or BMC raids to their business or place of work. Mumbai’s richest figure in statistics and surveys yet exercise nearly no control over political representatives who are dependent entirely on a slum population for their votes. And, the slums don’t every let them down. It isn’t without reason that Mumbai BJP unsure of tying up with partner Shiv Sena in the city, on February 11 launched the six-day ‘Garib Rath Yatra’ to strengthen its base among slum dwellers and migrant labourers. The party had then reached out to these audiences in all 227 civic wards of Mumbai and explain to them the schemes launched by BJP’s central and state governments for slum dwellers and the lower income strata of urban voters. After all, they’re the ones who vote in Mumbai and whose votes actually matter.